Scotland's ingredients of dramatic coast and sea, still lochs, sprawling fields and wild hills and mountains are second to none when it comes to natural beauty. Added to that are historic monuments, colourful towns, vibrant cities and a slew of very excellent restaurants - some in the least likely of places. Our Guru's recommendations for the best places to stay in Scotland sit in a huge range of seats, from remote coastal eyries to the heart of the capital - but first you have to decide which Scottish highlights you want to be closest to. Topped by its castle and 16th century heart, most of Edinburgh is elegantly Georgian - and a famously beautiful capital at that. On the other hand, Glasgow is lively, young, buzzy, arty and even bordering on stylish these days. Some of the best places to stay in Scotland can also be found in Perthshire, where you can see examples of Scotland's wild moorland and lush farmland in close proximity. The islands on Scotland's west coast have some of Scotland's best beaches, and Skye, one of the larger islands also has a range of hills, the Cuillins, which are incredibly popular with walkers. Foodies will be drawn to the Highlands and Islands, the remote regions with a wide range of food sourced locally from the land or sea. Boasting an impressively imposing location overlooking the city, Edinburgh Castle is one of the country's most iconic landmarks. Head off on a tour and learn all about its rich history before visiting the National War Museum of Scotland, located in its grounds. Glasgow's Kelvingrove Art Gallery and Museum, Scotland's most visited free attraction, houses a splendid collection of over 8,000 objects in 22 themed galleries. A must visit spot for any culture vultures! Hike through the stunning Glen Coe and marvel at the breathtaking scenery all around. The Isle of Islay is the place to go for whisky lovers - home to eight distilleries which all offer splendid tours of their facilities and tasting sessions afterwards, of course! 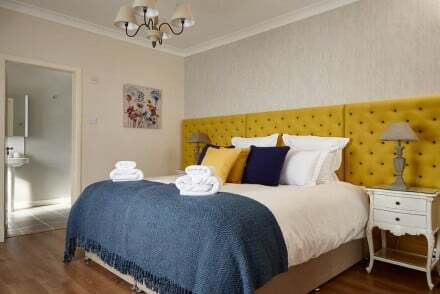 This beautiful and diverse country is an increasingly popular tourist destination especially in the summer months, so if you want to guarantee a bed in one of the best places to stay in Scotland, get organised and plan ahead. Perfect for being in the thick of things, The Scotsman in Edinburgh effortlessly blends old and new and has great facilities including a lovely spa and 3AA Rosette standard brasserie. Loch Ness Lodge is a brilliant property for groups. It has seven sumptuous rooms plus a highly skilled chef who provides creative and contemporary "Franco-Scottish" cuisine. On top of all this it has a top-notch spa and great views over Loch Ness. Quarter, Stirlingshire is a stunning Georgian mansion set amid sixty acres of lush, rural parkland, now offering three charming B&B suites. Closest to Stirling, you're just a short drive from Edinburgh and Glasgow. Located just a ten minute walk from the Royal Mile and Edinburgh Castle, 21212 is a Michelin-starred restaurant with rooms boasting sleek and stylish accommodation. With just four rooms it's also nice and intimate. 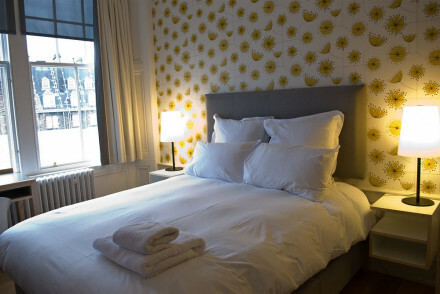 B+B Edinburgh is one of the best places to stay in Scotland if you're planning a city break. It's in a great central location, but certainly won't break the bank. If luxury in Glasgow is your aim, then book a room at Blythswood Square. Once the home to the famous Automobile Club, the traditional exterior is not echoed inside where you'll find up to the minute contemporary interiors plus top-notch spa. Finally for complete over the top decadence it'll have to be a night at the Witchery by the Castle, Edinburgh- think gilded ceilings, panelling and swathes of jewel-coloured velvet. Malmaison Dundee is a sleek city break spot, with tastefully decorated rooms in atmospheric dark hues and gleaming bathrooms. Enjoy an evening tipple in the bar. The centrally located Bauhaus Hotel is ideal for those wanting to see Aberdeen. With stylish accommodation featuring large TVs and en suites, you really can't go wrong with staying here. Hip and stylish, CitizenM Glasgow is perfect for young travellers - offering comfortable, simple rooms with a 24 hour bar and a large lounge area to boot. The Balmoral is a top-of-the-range stay in the heart of Edinburgh. With a Michelin-starred restaurant, comprehensive bar and smart bedrooms, you're bound to love the experience. One of our favourite places to stay in the wild moorlands of Perthshire is Monachyle Mhor Hotel near Balquidder. It is a perfect union of rustic warmth, funky sophistication and excellent food, much of it so local that it has been grown on the farm surrounding the hotel. For a real taste of Argyll with its miles of jagged coastline, the Royal An Lochan hotel in Tighnabruich is an ideal place to stay. The village overlooks a classic sea loch of the Kyles of Bute from which delicious shell fish is plucked for the restaurant. For traditional comfort in the Borders, the area of Scotland next to the border with England, Windlestraw Lodge is a good choice. With roaring fires and a daily changing menu it is a good base from which to explore the rolling farmland and towns of this historic region. Get to know Scotland's Lowlands with a stay at the sumptuous Glenapp Castle. 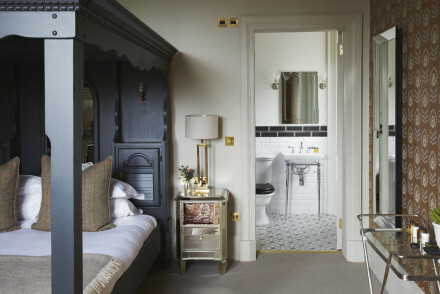 Their dreamily indulgent rooms are wonderfully romantic, with rich fabrics and plenty of antiques, whilst you can also tuck into award-winning cuisine. A top all-round spot! The coastal Knockinaam Lodge boasts warm and cosy rooms with unspoilt sea views. Spend your days exploring their 38 acres of grounds before enjoying terrific Michelin-starred food from the restaurant. Kinloch Lodge on the Isle of Skye is owned and run by the well-known Scottish cook and food writer, Claire Macdonald and her husband. Expect informal comfort in homely country-modern rooms and delicious food. The Pool House in Poolewe is a romantic retreat stuffed with antiques and curios from around the world and is owned and managed by the Harrison family whose attention to detail is exemplary. 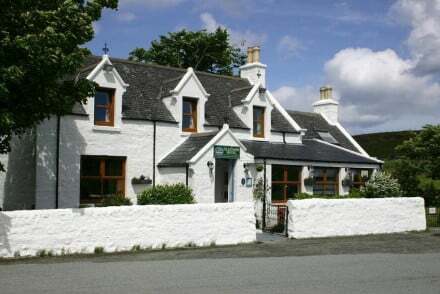 The Royal Hotel in Comrie serves great grub and is an ideal base for bagging a few Munros. Forss House, set in 20 acres of woodland, is the ideal spot for those looking to get stuck into outdoor pursuits. The rooms are smart and traditional, whilst you can get back after a day out to enjoy a whisky by the fireplace. 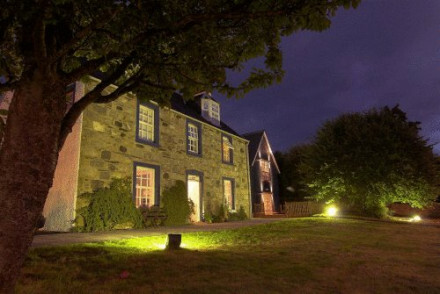 The 5-room Woodbine House is a homely B&B on the Isle of Skye. Unfussy, decent value and has self-catering options available. Links House, Highlands is a quintessentially Scottish experience - and not just because it's set on a golf course! Their smart rooms feature tweed headbords and tartan quilts, whilst there's also a lovely fine dining restaurant. For something a little different, how about the 3-room Hillstone Lodge - offering modern and stylish accommodation in the midst of Skye's wild beauty. A charming getaway. Set in a lovely Victorian property, Arisaig House is a luxury B&B with smart interiors set in 19 acres of grounds. You can even rent out the entire house for group trips/parties! Boasting a truly stunning setting at the foot of Ben Nevis, Inverlochy Castle offers luxurios rooms with chintz wallpaper, antiques and four-posters. What's more, their spendlid restaurant's received no less than one Michelin Star and 3 AA Rosette awards. Whilst hardly exactly balmy, Scotland's nicest in the summer months - the average temperature rises to 15°C in July. Be sure to remember a jacket though just in case as Scotland's always partial to the odd rain shower! This however is peak season, so if you fancy a bit more peace and quiet consider coming in spring or autumn. Visitors can fly into Edinburgh Airport, Glasgow Airport, Aberdeen Airport, Dundee Airport or Inverness Airport. All of these are well served by public transport links to the surrounding areas. Browse through our list of all the best places to stay in Scotland. Consider our Guru's list of 10 Scottish Country Escapes. Widen the net to search through our recommendations across the border in Cumbria. 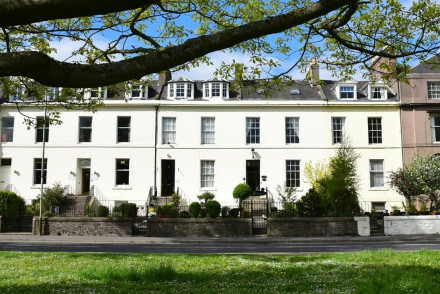 Overlooking the South Inch Park in Perth, The Townhouse is a charming B&B. Elegant rooms are comfortable and spacious offering lovely views out over the park. Minutes from the centre of Perth with all its attractions. Local exploring - A great base for exploring Perth and the surrounding area. Great walks - Go for a walk through the nearby Inch park or along the banks of the Tay. Sights nearby - Visit the nearby St Ninian's Cathedral. 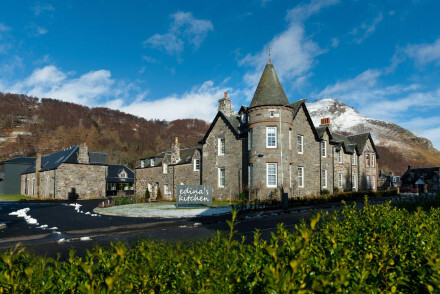 A highlands hotel set in an historic Georgian building in a quaint village surrounded by epic mountain views, lakes, woodland and moors. A refreshing addition to the region the interiors are modern and swish after a recent refurbishment. The restaurant is superb and service is top notch. Fabulous! 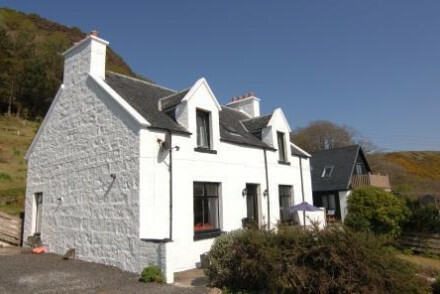 A delightful B&B on the west coast of the isle of Skye. The rooms have a homely feel and there's an excellent family suite. With self-catering options, it could be perfect for a family or group trip to Skye. Friendly owners and a great location prove a winning combination. Back to Nature - Skye is the ideal place to get back to basics and return to the wind and the wild. Local exploring - A great base for exploring the beauitful west coast of Skye. Kayaking - Guests can hire sea kayaks to explore the surrounding coastline. Birdwatching - Skye is a great spot for puffin watching. A charming and homely B&B run by helpful owners, on the picturesque island of Skye. The rooms are cosy and comfortable with stunning views of the Trotternish peninsula. The superb restaurant focuses on local produce such as oysters and venison. Perfect for a remote getaway. Back to Nature - Escape to the picturesque, wild Scottish island of Skye with it's dramatic landscapes and stunning wildlife. Local exploring - The perfect base for exploring the amazing island of Skye, with cosy beds and hearty meals. Sights nearby - Visit the iconic natural landmarks such as the Old Man of Storr, Kilt Rock and the Trotternish Ridge. Great walks - There is superb walking around the nearby Trotternish Peninsula. The Ship Inn is home to only beach cricket club in the UK. That aside it also offers excellent rooms and delicious food with a focus on doing the simple things well. A great base for a holiday exploring the unique charms of Fife. Great walks - The surrounding coastline is full of wonderful walking routes. Fishing - Sea fishing trips can be organised at Elie Harbour. Surfing - Nearby Ruby Bay, is a good spot for surfing. Intimate four-bed B&B in a secluded setting just a short drive from St Andrews. A modern and boutique decor throughout with grand bathrooms. Golfers will love the on-site driving range as well as access to some of the best courses. The acclaimed Peat Inn restaurant is just up the road. Great walks - Fife's coastal path and beaches offer some fantastic walking routes. 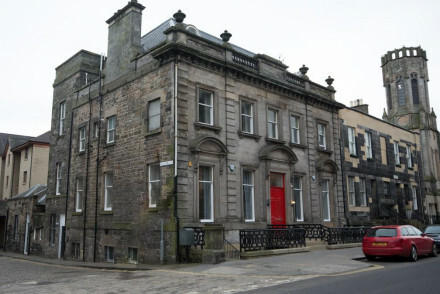 A budget-friendly hotel located near Glasgow's Central Station. 30 rooms decorated in a serene, clean Scandinavian style. A laid back kitchen restaurant serves up local produce. A great crash pad from which to enjoy this bustling city. 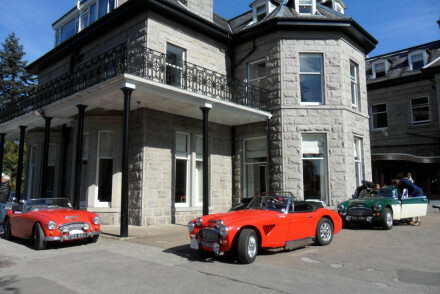 Set in a lovely baronial house, TorNaCoille is an excellent hotel in Banchory on Deeside. Elegant rooms are adorned with luxurious beds and tasteful furniture. 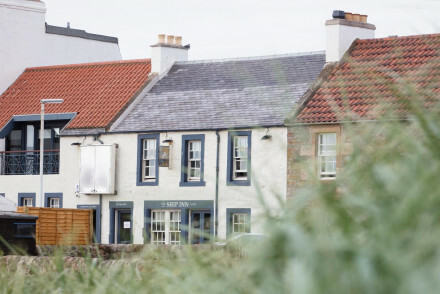 The hotel's excellent restaurant has a Scottish focus and utilises the best of local produce. Local exploring - A great base from which to explore the beautiful landscape and sights of Deeside. Sights nearby - Deeside is full of lovely castles such as Crathes Castle and Drum Castle. Fishing - Go fishing on the nearby Dee, one of the UK's best salmon rivers. Great walks - The surrounding countryside is full of lovely walking routes. The contemporary Bauhaus Hotel enjoys a superbly central location in downtown Aberdeen. 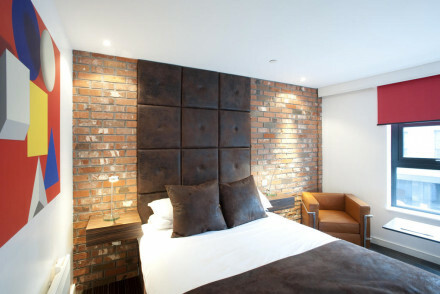 Offers boutique accommodation with white interiors, brick wall facades and splashes of colourful artwork on the walls. Rooms also feature 60" TVs and en suite bathrooms. A well located and decent value spot. 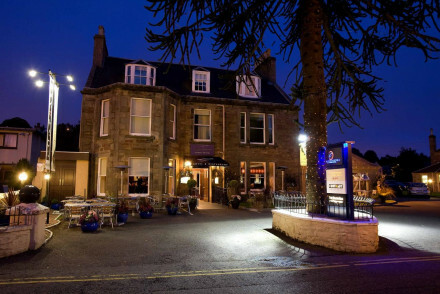 With a picturesque positioning on the banks of the river Ness, Glenmoriston Town House Hotel is a stylish hotel. Featuring comfortable rooms, an excellent restaurant and an atmospheric piano bar, it's a great low cost option for staying in Inverness. Local exploring - Ideal launchpad for exploring Inverness. Sights nearby - Ten minutes walk from Inverness Castle. Only 5 miles to Culloden.